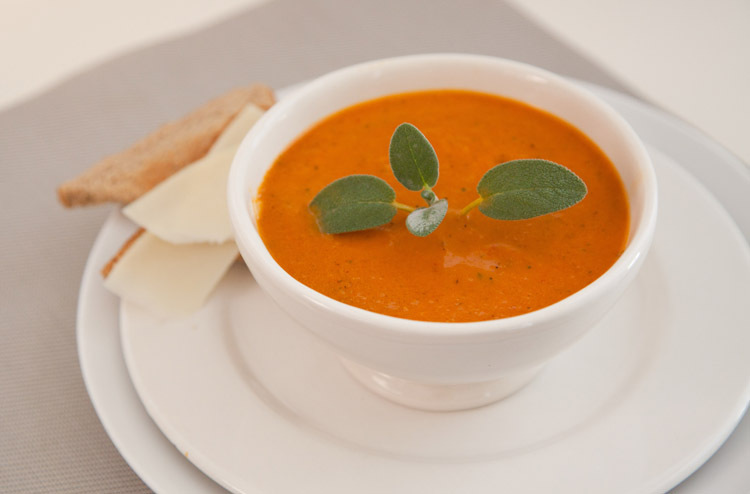 You can use this recipe as a model for just about any roasted vegetable soup. 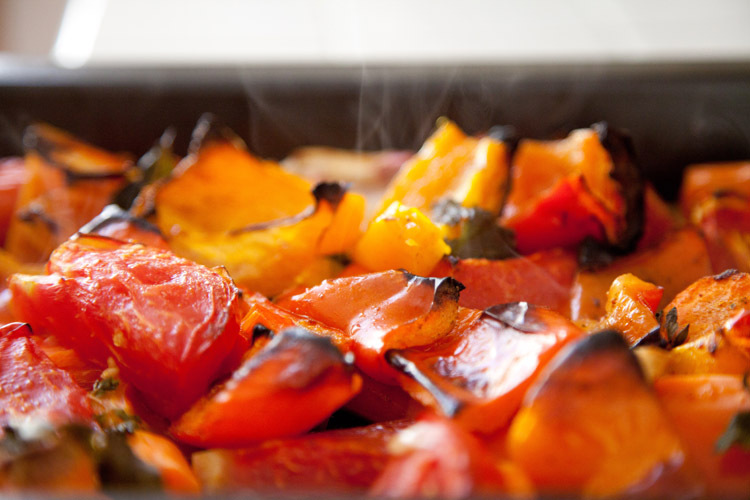 Preheat oven to 400 F. Put roughly chopped vegetables and herbs on a roasting pan. 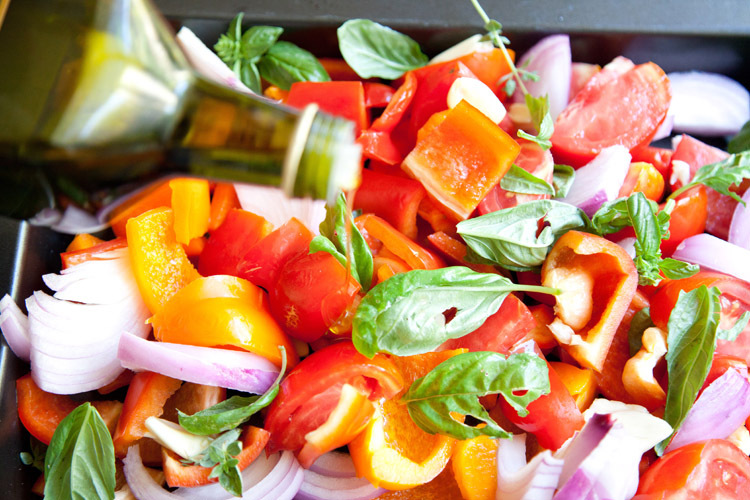 Sprinkle with salt, pepper and Italian seasoning. Add olive oil and toss well. Roast for 40 minutes. 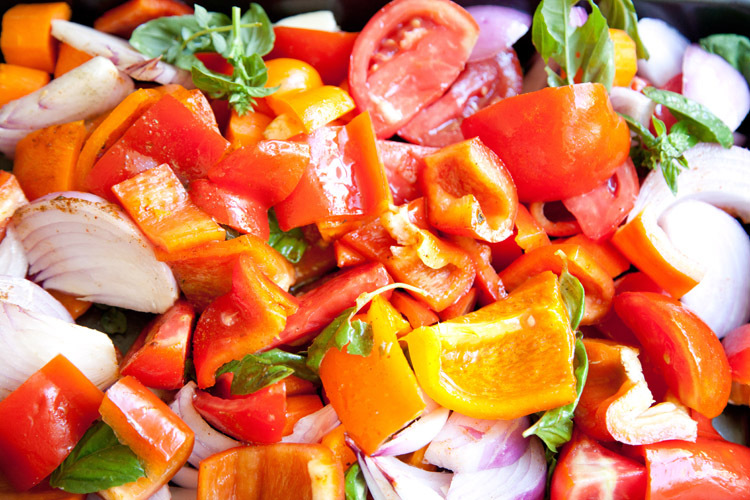 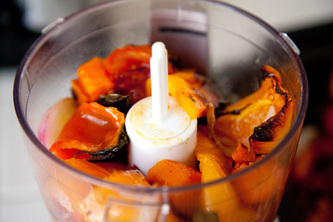 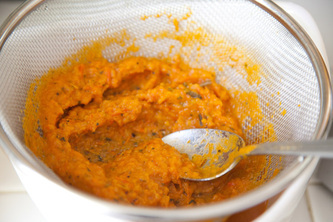 Transfer roasted vegetables into food processor and blend until smooth with water or vegetable broth, for about 1 minute. 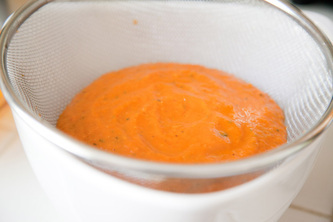 If you wish to make soup really smooth, pass it through a fine strainer. 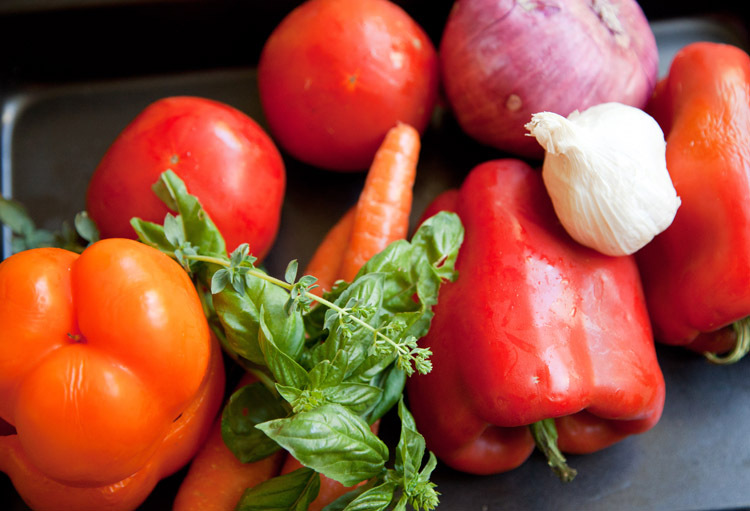 Serve with fresh basil and some cheese.